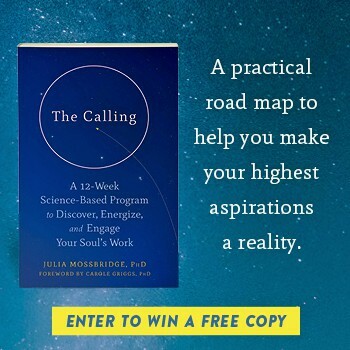 Starting 15 years ago, scientists have been studying the complex and mysterious emotion called awe—one you might have felt if you’ve stood in front of the Taj Mahal, hiked among towering redwoods, or had your mind blown at a concert, play, or ballet. Inducing goosebumps and dropped jaws, awe experiences are remarkable in their own right. Moreover, a growing body of research suggests that experiencing awe may lead to a wide range of benefits, from happiness and health to perhaps more unexpected benefits such as generosity, humility, and critical thinking. In our busy lives, seeking awe may be low on our list of priorities. But we might be underestimating its power. “One simple prescription can have transformative effects: Look for more daily experiences of awe,” writes the GGSC’s Dacher Keltner. The latest research suggests that taking the time to experience awe—whether through engaging with nature, enjoying great art or music, or even bingeing on breathtaking YouTube videos—may be a pathway to improving your life and relationships. Need a mood boost or a stress slayer? Some studies suggest that experiencing awe may help. And you don’t have to take a trip to the Grand Canyon to get the job done. Just watching awe-inducing slideshows and videos can improve your mood and well-being, according to a few studies. Another study found that people who read a short, awe-evoking story about seeing Paris from the top of the Eiffel Tower reported greater life satisfaction in that moment than people who read a story about seeing a plain landscape from up high. Of course, it’s tough to beat real-world experiences—so in a recent study, researchers took military veterans and youth from underserved communities whitewater rafting. They found that the more awe the participants experienced, the more improvement they saw in their well-being and symptoms of stress one week later. According to a different survey the researchers conducted, undergraduate students reported greater life satisfaction and well-being on days when they spent time in nature, which was attributable to the higher level of awe they felt on those days. This suggests that awe just might be a crucial ingredient in nature’s restorative powers. Experiencing awe over time could potentially have long-term health benefits, at least according to one study. People with a greater general tendency to experience awe—but not any of the other seven positive emotions studied—had lower levels of interleukin-6 (IL-6), a marker of inflammation (too much inflammation can lead to a host of chronic diseases). A second part of the study found that participants who reported feeling more “awe, wonder, and amazement that day” had lower levels of IL-6; this was true even after accounting for people’s general tendency to experience awe and be open to new experiences. In other words, all of us—not just people who are prone to experiencing awe frequently—may be able to reap the health benefits of a particularly wondrous day. However, this study can’t tell us whether awe decreases inflammation or whether people with more inflammation are less likely to experience awe—a question for future research. Some studies suggest that awe may be able to sharpen our brains. One study found that when people were induced to feel awe, they were less persuaded by weak arguments than people who did a neutral activity (imagining doing their laundry). In contrast, some other positive emotions—like anticipatory enthusiasm or amusement—made people moresusceptible to weak arguments. Intriguingly, a recent theoretical paper argues that awe may help facilitate scientific learning and reasoning in children. For example, when a child sees an anvil and a feather drop at the same rate in a vacuum, this experience likely violates their intuitive understanding of how gravity works, evoking feelings of awe that lead them to develop a new theory about the relationships between weight, gravity, and motion. Similarly, a recent study found that people who have a greater disposition to experience awe had a more accurate understanding of the nature of science and were more likely to reject creationism and other scientifically questionable explanations about the world. Importantly, these people didn’t have greater “faith” in science; they just understood better how science works. A few studies suggest that experiencing awe may dampen feelings of materialism. The experiment with the Eiffel Tower story also found that, when given a hypothetical choice between a material good (such as a $50 backpack) or an experiential product (such as a $50 iTunes gift card), people who read the awe-inspiring story chose the experiential product more often than people in the other group did. In another study, participants who recalled an awe experience placed less value on money than did participants who recalled a happy or neutral experience, and viewing awe-inducing images reduced the effort people were willing to put into getting money (where effort was measured by tolerance for listening to an unpleasant sound). Further evidence for this idea comes from a recent study, suggesting that awe can function as a buffer against negative emotion when you lose material possessions. After time spent marveling at the world around you, misplacing your new sunglasses might not feel so bad. One of the most profound effects of awe is how it can change our perception of ourselves relative to the larger world. In particular, multiple studies have shown that awe can make us feel small, diminished, or insignificant—what researchers call the “small self” effect. In one particularly interesting study, researchers asked visitors to Yosemite National Park and Fisherman’s Wharf (a tourist area in San Francisco) about their feelings of awe and other emotions, as well as their sense of self. Tourists at Yosemite reported experiencing significantly more awe, represented their current self with smaller circles (when given a choice of sizes), and drew self-portraits that were nearly 33 percent smaller than tourists at Fisherman’s Wharf. Besides making people feel physically smaller, awe may also make people more humble. One recent study found that people who are more naturally prone to experiencing awe felt more humility and were rated as more humble by their friends. Experimentally inducing participants to feel awe led them to acknowledge their strengths and weaknesses in a more balanced way and to better recognize how outside forces contributed to their successes. Awe may also expand our perception of time. One study found that people induced to feel awe felt less impatient and agreed more strongly with statements suggesting that time is plentiful and expansive than people induced to feel happiness. The researchers speculate that by immersing us in the moment, awe may allow us to savor the here and now. “Awe-eliciting experiences might offer one effective way of alleviating the feeling of time starvation that plagues so many people in modern life,” the researchers write. With more time on their hands, people feeling awe reported a greater willingness to offer that time to others—to volunteer their time, but not their money, to help a charity—compared to people feeling happy. In fact, multiple studies have found that experiencing awe may make people more kind and generous. For example, one study found that people with a greater tendency for awe were more generous in laboratory tasks like distributing raffle tickets between themselves and an unknown participant. And people who stood among awe-inspiring eucalyptus trees picked up more pens for an experimenter who had “accidentally” dropped them than people who stared up at a not-so-inspiring large building. Together, these studies suggest that awe may prompt us to help others and to be more generous, perhaps because of the way it encourages us to focus less on ourselves and expands our perception of available time. Awe has an amazing capacity to bring people together. Research suggests that awe helps us feel more connected to the people in our lives and to humanity as a whole. In one study, participants spent time near an awe-inducing Tyrannosaurus rex skeleton or in a regular hallway. When asked to describe themselves, the dinosaur viewers were more likely use universal descriptors (such as “a person” or “an inhabitant of the Earth”) rather than more specific descriptors (such as “tall,” “friendly,” or “a student”) than the other people, suggesting that awe increases our sense that we are part of a greater whole. Another study found that people experiencing awe reported feeling more one with their community compared with people feeling neutral (an effect that may only hold for people with high self-esteem). Interestingly, another part of this study found evidence that culture may also influence awe’s effects, leading people from individualistic cultures to feel as if their social network has expanded (they feel closer to more people) and people from collectivistic cultures to feel closer to those already in their network. As a 15-year-old science, awe research is literally in its adolescence. This means that many of the findings discussed in this article are based on very few studies (and thus should be taken with a grain of salt). What researchers don’t know about awe far eclipses what they do know. For example, we don’t know much about how awe affects children throughout development, how awe is related to religious and spiritual experiences, and how awe can be used therapeutically. And researchers are just beginning to explore the neuroscience of awe. But with increasing interest among psychologists and the public in the topic, the future of this research looks bright—maybe even awesome. WANT MORE AWE IN YOUR LIFE? Get out in nature, or make time for spirituality and religion. Be inspired by other people’s actions—whether it’s a superb athletic performance or a particularly generous act. Watch awe-inspiring videos, like this colored droplet falling into a pool of milk in slow motion. Try these four awe-inspiring activities at home. Read a special white paper on the science of awe—explaining where it comes from, what its benefits are, and how to cultivate it.